Are you letting cool air escape from your home? Even windows installed last year aren’t as good as this year’s models. That’s how fast window pane and insulation technology are changing. It doesn’t mean you need replacements, but it doesn’t mean you shouldn’t rule them out. Poorly constructed windows, a bad installation, and low-quality sealants can all compromise new window performance. If your home was constructed 20 years ago or more you’re almost guaranteed to have poor performing windows. What can you do? Get a window replacement in Palm Springs from a local company that knows glass installation better than anyone. At Macklin Mirror & Glass we specialize so you don’t have to. 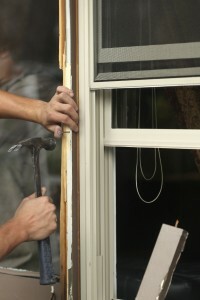 How can window replacements benefit you? Increase energy efficiency in your entire home. Replacing your windows in Palm Springs increases your home insulation. Older windows allow cool air to escape and hot air to get in. This means your AC is constantly struggling to maintain temperature. That doesn’t just cost electricity; it reduces your HVAC lifespan. Reduce outdoor noise pollution in your home. Sound reduction works both ways. New windows can make your home quieter inside and outside. Replacing windows in living rooms let you turn up the volume louder without worrying about the neighbors. It also means your neighbors’ noise won’t intrude into your living room. Newer windows are bigger and offer better protection. Our selection of high-quality windows is easier to maintain. They have larger glass panes and smaller frames which let in more light. Certain models also offer advanced UV protection. These protect your eyes and reduce UV wear on items like furniture and wall hangings. Contact us for your new house window replacement! A window installation cost pales in comparison to your long-term savings and increased comfort. We offer extremely competitive pricing, back our work, and have one of the area’s best selections. Get more from your home, get more from your windows. Call or contact us today for all your window and shower door needs.